The truth is that there are quite a lot of different issues that you would undeniably have to handle when it comes to your overall HVAC system. The ductwork is undoubtedly amongst the integral components you’d have to consider. With this in mind, if you notice that there is any condensation in your ductwork, the thing that you ought to do is get the help of a professional, as quickly as it is possible. Here are a few additional things that you might want to take into account. Condensation is a natural occurrence which formulates when humid and hot air comes in touch with surfaces which are cold. You are likely to see it anytime when you fill a cold glass with warm water. Your HVAC system is absolutely no different. As the ducts tend to get filled up with colder air on the inside as well as humid and hot air on the outside, droplets are going to start to form unless you take preventive measures. The bad thing is that these droplets which might seem harmless are actually capable of promoting the development of mildew and mold. We all know that this is no good. It can cause stains to bleed right there through your ceilings and walls. It could even cause some of the structural elements to fail as they’d rot and, eventually, collapse. Ductwork condensation is capable of being prevented through the usage of very special insulation which is going to improve the overall efficiency of your HVAC system. If you manage to discover any signs of condensation issues, you should make sure to contact a professional team of experts in order to properly assess the overall condition and to decide what the best path of action is. If your ductwork insulation is in proper shape, but you are still having issues with condensation, this might be because your home has excessive humidity. If you live in an area where the climate is particularly humid, this is a challenge which could very well take the best of you. Air conditioners are initially constructed in a way which dehumidifies spaces as they are designated to cool them off. However, there are certain issues, which may conveniently reduce this particular capability. If your air conditioner, for instance, is way too prominent for the space that you need to cool, it may not have the actual time to get rid of the humidity. This is just one of the things that you have to be aware of. This is why it’s important to choose appropriate units and to ensure that they do everything as it is supposed to be done. Most of the reliable and competent companies handle it as per the highest industry standards. That is why it is essential to hire the services of a reputed and reliable HVAC contractor. https://championhvac.ca/wp-content/uploads/2017/03/champ-01.png 0 0 miasoft https://championhvac.ca/wp-content/uploads/2017/03/champ-01.png miasoft2017-09-08 08:44:522017-09-08 08:44:52Can Ductwork Condensation Damage Your House? Single Stage, Two-Stage, Or Modulating? Which Type of Gas Furnace Is Best For You? If you are in the market for a new gas furnace this season, you may have been confused by the three main types of furnaces on the market today. Your Stouffville HVAC specialist will have a very finite comparison of the differing types based on manufacturer and model, but here is a simplified comparison. Single stage furnaces have a simple gas valve that is either open or closed. It is either off or on high. The standard single stage furnace will cost less to install, and will keep your home heated. However, the heating comes at more expense due to efficiency. Your standard single stage furnace will operate at about 80% annual fuel utilization efficiency (AFUE). This means that 20% of your fuel is being wasted. With single state furnaces, there will be greater temperature swings, as your furnace will blast on or turn off. There is no variation in operation. The two stage furnace has more adjustments available than just “on” and “off”. The two stage furnace will start at a lower power. When the thermostat signals that more heat is necessary, it will provide the higher power heat, then back off and run more consistently at the lower level to maintain temperature. The stress on the system is substantially lower without all the turning on and off. A two stage system has a longer running cycle with more even heat distribution. From an efficiency standpoint, you can expect a two stage furnace to run at about 90% annual fuel utilization efficiency. And you can expect that your operation will be quieter. A modulating furnace may cost significantly more for a Stouffville HVAC installation than a mid-efficiency furnace. But they can save significantly on energy costs. They also have the advantage of delivering the correct amount of heat into the home quickly and efficiently. 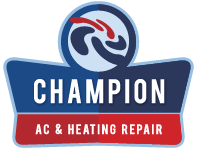 If you are considering replacing your existing furnace, call the professionals at Champion AC & Heating Repair in Stouffville. We are the local furnace repair and installation experts to trust in the community and the GTA. https://championhvac.ca/wp-content/uploads/2017/03/champ-01.png 0 0 miasoft https://championhvac.ca/wp-content/uploads/2017/03/champ-01.png miasoft2017-08-07 04:24:052017-07-31 04:26:42Single Stage, Two-Stage, Or Modulating? Which Type of Gas Furnace Is Best For You?